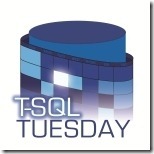 This TSQL Tuesday is hosted by my friend Wayne Sheffield. The topic is on ‘giving back’..what do you think you can ‘give back’ to the sql community in the upcoming year? When I was new to this country – I had a friend who was a psychotherapist by profession. Towards the holidays – when everyone took time off, went shopping, decorated homes and so on – she would be working double , sometimes triple shifts. She worked for herself, so nobody really made her do this. But it was the time when business boomed for her. More people were depressed and low towards the holidays causing more therapists to be in business. Now, I come from a country with a lot of poor people. Seeing more people depressed instead of happy during a festive season was news to me – but that is topic for another post. The point as she explained to me was that the need to give without adequate self nourishment made a lot of people feel very depleted and as a result, depressed and low. In some ways , our small community is also reflective of the bigger outside culture – we expect people to give more and more – volunteers need to do more, the people on PASS board need to do this and that, MVPs and friends who are doing well need to recommend jobs…on and on. What are we doing to ensure appreciation and self nourishment within our community? I don’t mean prepping people up or tweeting about how much we love each other and so on , although those things are important. I mean things like looking out for someone who is out of work. If you find any opportunities that he/she may be interested – let them know. Put in a word of recommendation, if you can do it. Share your own stories, not just of successes, but of failures. Like the time when a technical interview was really hard and you knew in 10 minutes that you were a poor fit. Or the time when you wondered how having 500+ linkedin contacts is not leading to any successful job leads. Or when everyone is talking of the sqlserver job market booming and there is nothing remarkable happening in your neck-of-the-woods. We all have times like that. Sometimes, sharing those stories is the best thing we can do to help someone who is depleted. As I write this, I know of 4 people who are looking for work. They are all smart, hardworking, caring individuals who have given to community and are in need of self nourishment. My goal is to be there for them in whatever way I can. And for people like them, in the year to come.